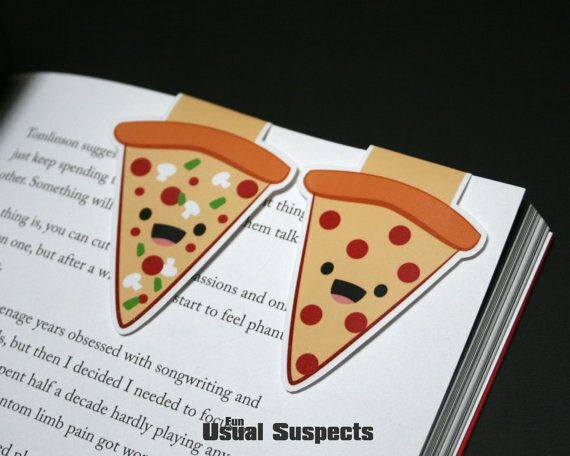 Home Book Lists Chow Down on These 8 Pizza Bookmarks! 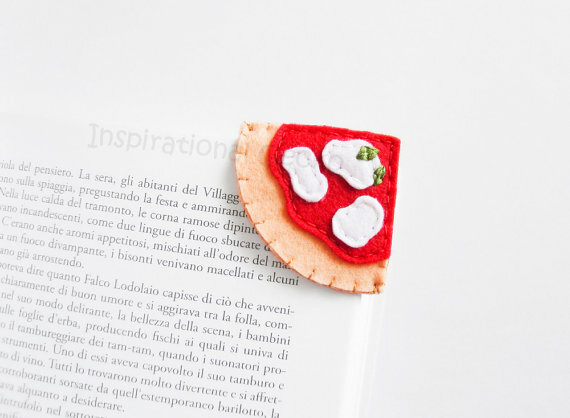 Chow Down on These 8 Pizza Bookmarks! 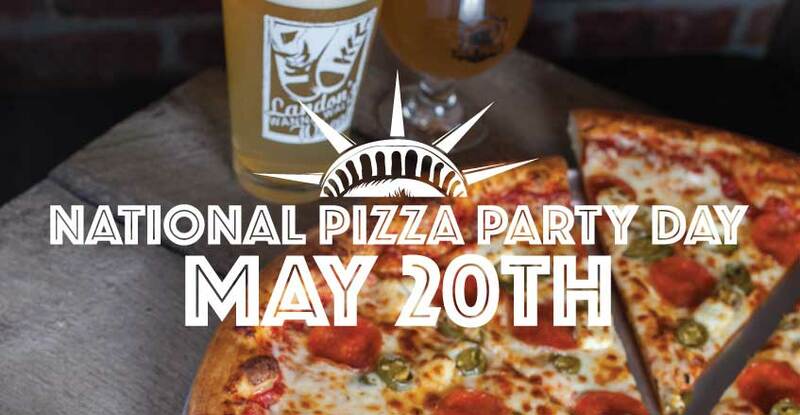 It’s National Pizza Party today, so here’s your excuse to chow down and order your favorite pizza. Also, you know what else is great? 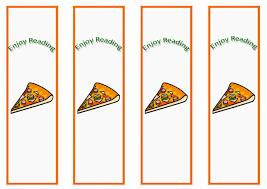 Bookmarks in the shapes and themes of pizza. 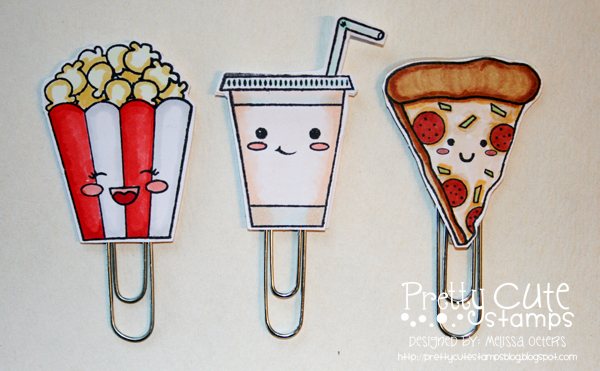 Maybe these bookmarks will distract you from your reading because they look yummy but…who cares? 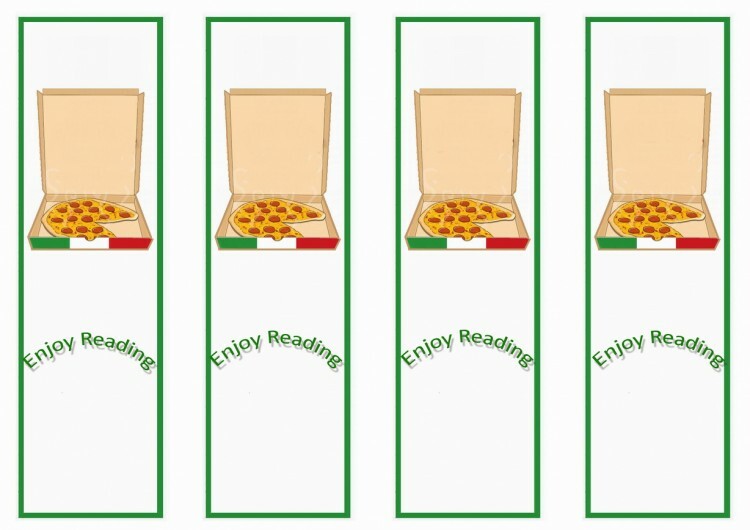 It’s pizza! I’m pretty sure this won’t work over the internet, though it is a cool idea! 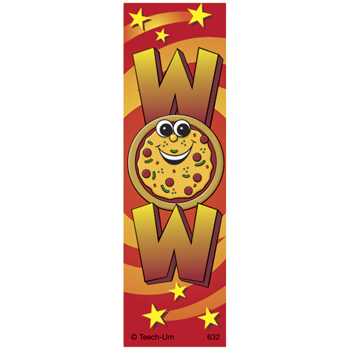 Because nothing is more encouraging than a pizza smiling at you. 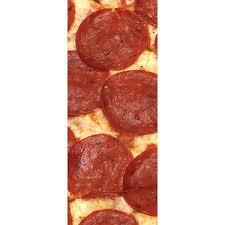 This is a pretty good pizza slice drawing! This one comes with a drink and a tub of popcorn! Now go! Enjoy that slice! Or two…or three.